At the conclusion Dave ‘Barney’ Kelly was the winner, defeating home greener Rob Monk convincingly 21-8 in the final with Monk not hitting the same form he had in previous rounds. Losing out at the semi final stage were Colin Kelly (Marown) to Monk who performed well to end the Marown mans challenge 21-16. In the other semi-final Barney ended the good run of Reginald Temporaza (Noble’s) with a 21-14 win to book his spot in the final. Losing out at the quarter final stages were home greener Kevin Quirk to Colin Kelly 18-21, Marown man Juan Killip lost 10-21 to Monk, Nathan Hamilton (Castletown) who lost 18-21 to Temporaza in a close encounter, whilst South Ramsey’s Stefan Kelly lost 14-21 to Dave ‘Barney’ Kelly. The presentation was made by Association Competition Secretary Matthew Keggen who thanked Onchan for hosting the competition, their club members for assisting throughout the day and the ladies for providing a good selection of refreshments. The excellent condition of the green was also mentioned along with the improvements made during the winter, most notably the new floodlights along with the sponsor boards placed around the corners of the green. North Ramsey A made the long journey to the south of the island in Ellan Vannin Fuels division one to take on Port St Mary A, with the visitors pulling off a shock 3-7 win over their rivals to record one of their best wins in recent history. 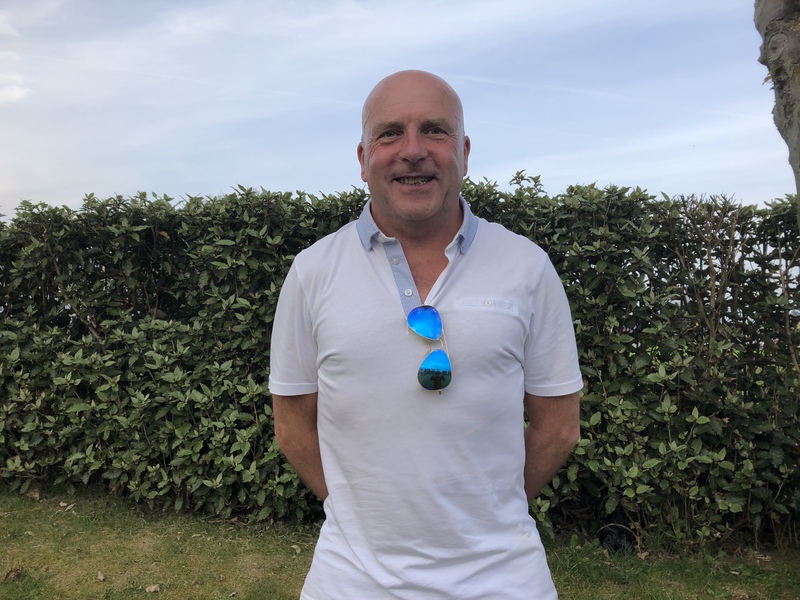 For the visitors Steve Walmsley got off to a good start defeating Dave McCabe 21-9, with captain Allan Callow & John Cannan beating Dan McCabe & Bernard Thackrah respectively. Gary Merrill pulled off a stunning 21-17 win to inflict a first home league loss since August 2017 on Trevor Quayle. Geoff Porter also recorded an equally good win to see off Paul Skelly in a close game 21-19. Hitting back for Port St Mary were Wayne Roberts, Rob Cooil and Tim Williams who all won fairly comfortably, but couldn’t manage to stop the visitors from taking the aggregate two points having lost out by six chalks (138-144). Marown B had a tough night in their home fixture against Douglas A with the experienced Arnie Withers the only winner (21-12) against Gary Conwell, whilst Peter Kelly lost out 18-21 to Ian Moore. 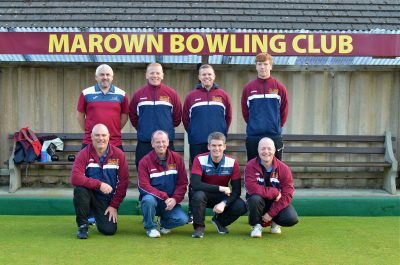 Marown A remain top of the league after their visit to the Crofts to take on Castletown A, coming away with a respectable 2-8 win. The two winners for Castletown were Captain Ian Watson who beat Matthew Keggen 21-16, backed up by the experienced Juan Kermode who had a fine win over former team mate Paul Kelly 21-10. For the Crosby men John Gelling won 21-4 against Dean Kinley, whilst Neil Withers and Phil Kelly had to work hard to record their wins over Nathan Hamilton & Jordan Drewett respectively. Onchan A occupy second place, they closed the gap on the league leaders by a point following a fairly straightforward 1-9 away win over South Ramsey B. The lone winner for the home team was Steven Waters with a 21-13 win over Frank Watson. Tony Dugdale came closest to taking a second win off the visitors before losing out 19-21 to Matthew Quirk. South Ramsey A climbed up to third place following their 1-9 away win against Noble’s A, with Reginald Temporaza continuing to perform well in his debut season in the top division recording a 21-15 win over Alan Moore. The visitors won four games to single figures, whilst James Teare was pushed hard by Steve Cook before getting over the line to win 21-18 to maintain his 100% record. Peel A sit in fourth place following their 8-2 home win over Castletown B. Ste Kelly and Andy Kennish both won to single figures for Peel, whilst for Castletown Ross Moore won 21-16 against David Proctor, with Bob Clark maintaining his 100% start to the season following his 21-16 win over Gary Smith. Clark is one of just nine players to have won their first four games in division one. In division two Ballaugh A took a massive stride forward in their quest to return to division one recording a 10-0 home win over league leaders Port St Mary B. Thomas Keggen came closest to snatching a point for the visitors, however Edgar Cowin just got over the line to win 21-20. The result meant Ballaugh A leapfrogged Port St Mary to go top on 30 points, whilst the Port men fell to fourth spot. Finch Hill A sit in second place level on points with Ballaugh A following a good 2-8 away win against Port St Mary C. The Finch Hill men have started the season strongly with four of their players having 100% records. Douglas B are in third place following a good 9-1 home win over Ballaugh B, who had John Kneen to thank for sparing the whitewash with a good 21-11 win over Rob Matthews. In division three this week league leaders South Ramsey C had another solid performance with an 8-2 home win over Ballaugh C to jump up to 33 points after four games played. Noble’s B sit in second place on 23 points following their 2-8 away win against Peel D, with Ballaugh C sat in third place on the same number of points. In division one Onchan A hosted Peel A with the match ending 4-4 on games. Onchan secured the aggregate to seal a 6-4 win by just two chalks (132-130). For the home team Phil Kerruish and Rob Monk both won to single figures against David Proctor and Gary Smith respectively, backed up by Matthew Quirk who won 21-13 against Jerome Surridge and Jordan Cain sneaking home 21-19 against Andy Kennish. For the visitors Tom Kelly won 21-9 against former team mate Frank Watson, Tommy McMeiken performed well to win 21-11 against Peter Slinger, Dave ‘Barney’ Kelly won 21-12 against Steve Parker with Stevie Kelly also turning in a good performance to beat Kevin Quirk 21-16. Marown A recorded a good 9-1 home win over Port St Mary A with the visitors feeling they could have got more on the night. Home team winners were Matthew Keggen, Neil Withers and Phil Kelly all winning fairly comfortably. Paul Dunn inflicted a first league defeat of the season on 2018 league merit winner Trevor Quayle, with Colin Kelly getting home 21-17 against Paul Skelly. Dean Kipling won 21-19 against Wayne Roberts with Harry Barton stepping up from the B team to also win 21-19 against Tim Williams. The win takes Marown top by two points. South Ramsey A got their season back on track with a 9-1 home win over near neighbours North Ramsey A. David Bradford and Stefan Kelly both won to single figures for the home team, whilst for the visitors Tony Smart was the only winner seeing off Chas Grills 21-10. Douglas A hosted Castletown A at the Villa with the home team taking the spoils with a 7-3 win. Keith Rise and Mervin Sayle won to single figures over Dean Kinley and Peter Oates respectively. Also winning for the home team were Captain Andy Cannell, along with Stuart Garrett and Shaun Seal who both won 21-17. For the visitors Ian Watson won comfortably 21-14 against Gary Conwell, with Derek Lewney and David Quayle battling through to see off Jimmy Sansom and Ian Moore. Marown B currently sit in fifth place thanks to a good 4-6 away win over Castletown B. The Crosby men took the extra two points courtesy of winning the aggregate by 19 chalks. For Marown Peter Kelly won 21-4, with son John Kelly also winning comfortably. Darren Kerruish had to work hard to beat Willie Corkill 21-18, along with Over 60’s player and ‘Dad’s Army’ Captain Steve Bridson who held off Ross Moore to the same score. South Ramsey B played their home fixture on Tuesday evening against Noble’s A recording a good 8-2 home win to lift them clear of the bottom of the league. Austin Hart seems to be settling into division one having had a tough first season, with the experience of last year no doubt helping this season. Hart recorded a fine 21-6 win over Steve Cook. Also winning for the home team were Tony Dugdale, Edward Carlyle, Sid Bolton, Ian Moore and Christian Caley. For the visitors the ever reliable Tommy Collister won comfortably against George Brew with Reginald Temporaza picking up another win to beat Steven Waters 21-10. In division two Port St Mary B lead the way on 25 points following their 8-2 home win over North Ramsey B. For Port St Mary Peter Collins, Paul Russell, Dave Saxon and Thomas Keggen all won to single figures, whilst Brian Corrin and Ray Maddrell also won. For the visitors Brian Colquitt beat Tom Collins 21-17, with Rheuben Thomas winning 21-18 against Louis Callister. 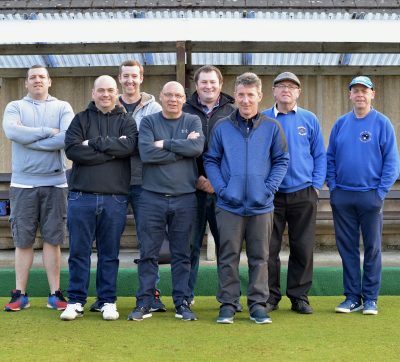 Finch Hill A sit in second place on 22 points following a tough home game against Port Erin A, taking a 6-4 win mainly due to Port Erin being in the unfortunate position of being a player short on the night. Ballaugh A lie in third place following their 7-3 home win over Douglas B, whilst Peel B won 9-1 at home to Ballaugh B with the visitors losing three games 19-21 and a 20-21. On another night the match could have ended in a 5-5 draw. Marown C are coping quite well with life in division two following their 6-4 home win over Port St Mary C. The Crosby men taking the aggregate by just nine chalks, with relative newcomer Karl Parker just missing out on taking an extra point losing 20-21 to the experienced Chris Oates. On Tuesday evening Peel C hosted Onchan B with the visitors coming away with a 3-7 win. 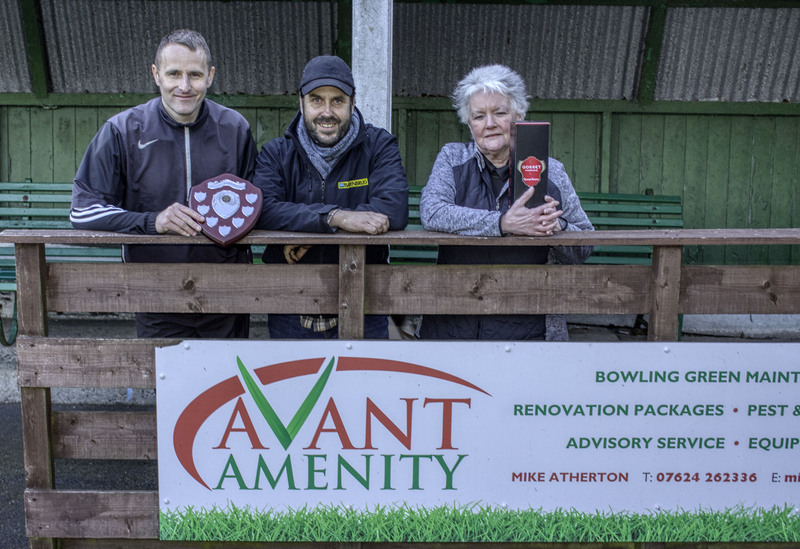 South Ramsey C were the only away winners in division three this week following a good 9-1 win away to Noble’s C, with James Evans, Tony Marler and Anthony Kelly all winning to single figures. For Noble’s Les Brookes was the only winner defeating Paul Routledge 21-5. The result leaves South Ramsey top of the table by two points. Ballaugh C recorded a good 8-2 home win over Onchan C, whilst Castletown C won 7-3 at the Crofts against Douglas C. Noble’s B just managed to secure a 6-4 win against Finch Hill B by just three chalks (143-140) and Port Erin B also won to the same score despite being a player short against Peel D taking the aggregate by just seven chalks (126-119). 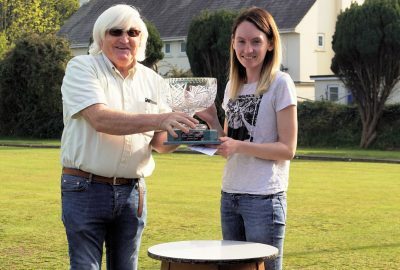 The preliminary round and first round of the Rayner Shield also took place this week with Port St Mary A travelling north to take on South Ramsey A in the tie of the round. The visitors ran the home team close before South Ramsey managed to take a 5-3 (136-126) win. David Bradford and Dave ‘Dido’ Kelly won comfortably with Dan McCabe and Wayne Roberts responding for the visitors. In the second half of the match Paul Skelly eased to a 21-4 win over Glynn Hargraves, with Chas Grills seeing off Rob Cooil 21-14. With the match score at 3-3 South Ramsey were trailing on the aggregate by five chalks after six games, however Stefan Kelly won 21-14 against Dave McCabe and James Teare secured their place in the next round with a 21-13 win over Bernard Thackrah. There were no shocks to report on at team level, although Onchan B hosted Peel A with the home team losing 5-3, with Gary Lee pulling off a shock 21-16 win over Dave ‘Barney’ Kelly.